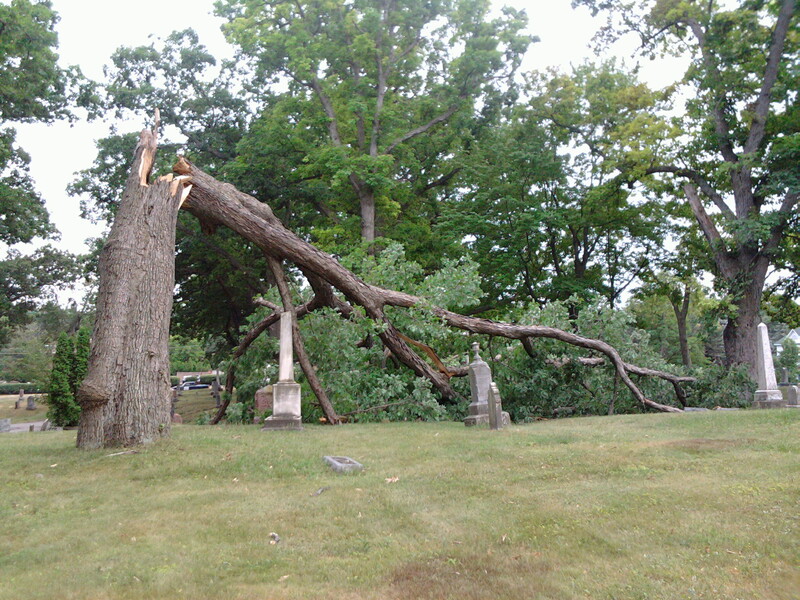 I took these pics, last week, in Oakwood Cemetery, in Farmington, Michigan. 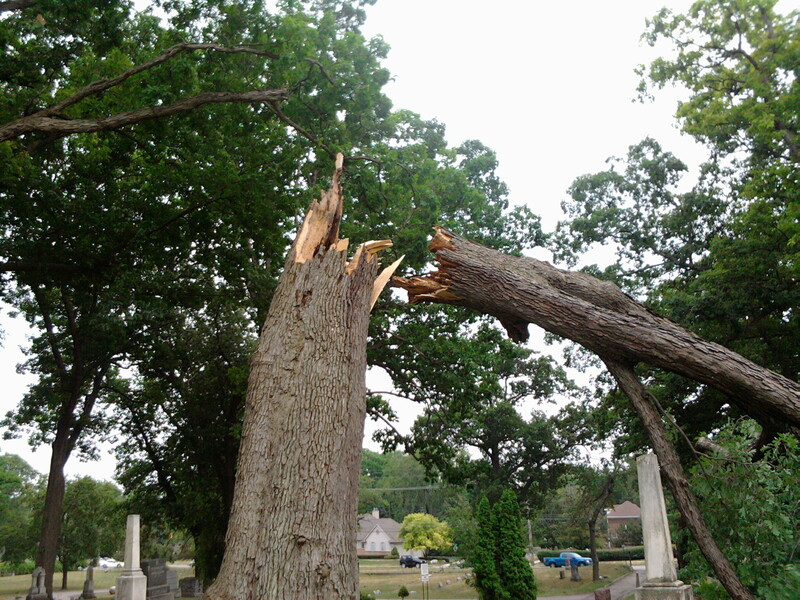 We had some wicked storms come through, well over 300,000 people were without power. I wish you could see how massive this tree really is. Pics don’t do it justice. 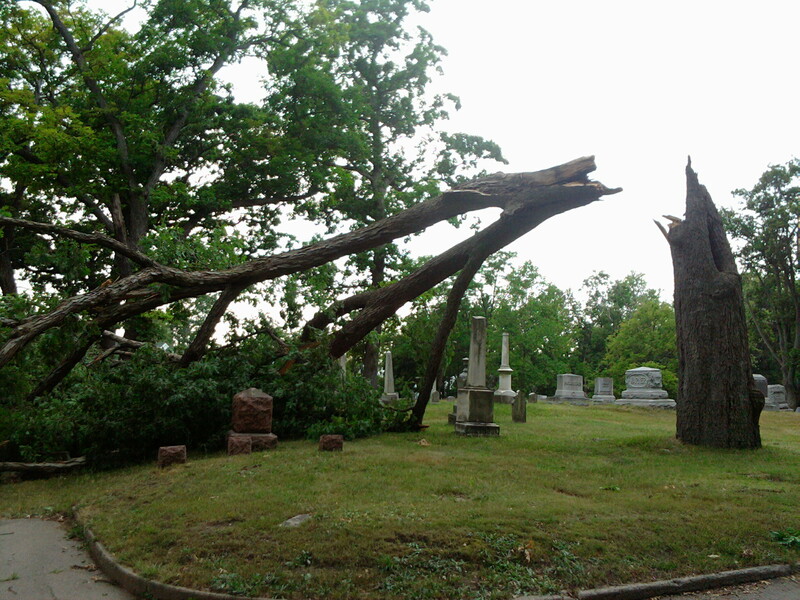 A different part of the cemetery. More downed branches. Interestingly, this cemetery is rumored to be haunted. I’ve taken pics here before and never felt a creepy vibe or anything. It’s a small, but pretty, cemetery. Next postHelp! I Need Feedback. Is it Morally Right to Write a Review if You’ve Beta Read the Book? We had damage like that in our area. We had this huge wind storm, but with no rain. I heard this strange noise, looked outside, and my trees were bending over. 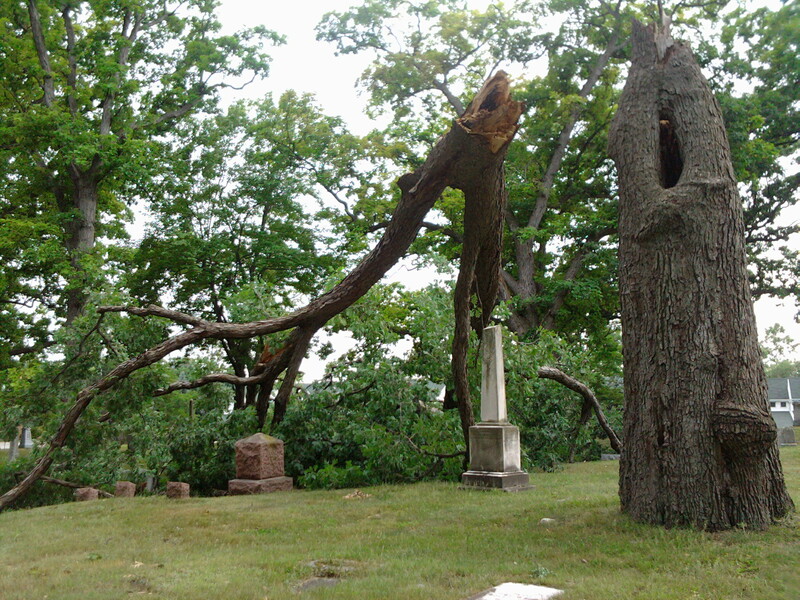 (After the multiple deadly tornadoes we had in April of 2011, everyone in my area gets scared at the mere hint of wind.) 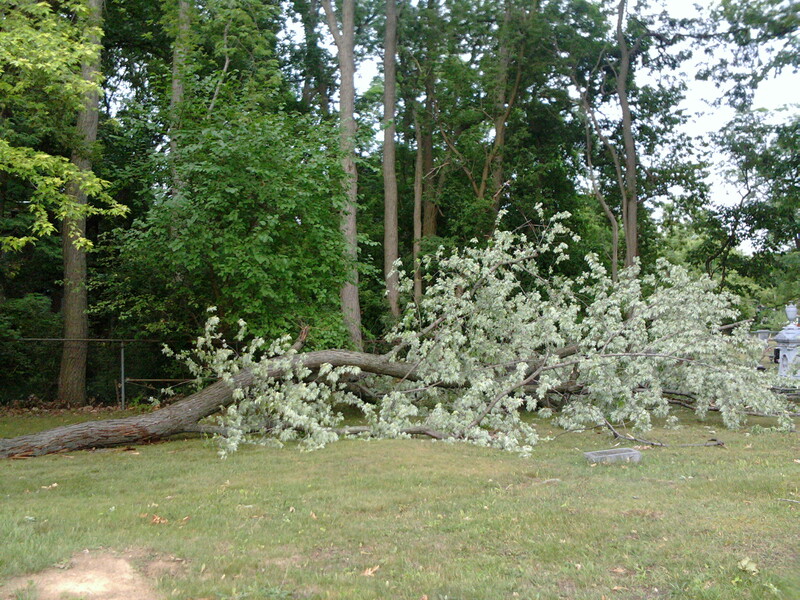 It amazes me how just straight winds can pull up trees and break off huge limbs. Scary! This was only wind and rain, though there was also hail going on in some places. Michigan doesn’t get a lot of tornadoes, though the weather is constantly in flux due to the Great Lakes surrounding us. The temp dropped 20 degrees the day that storm went through, in under 2 hours, then the temp shot back up when it was over. Weird stuff!! No tornado, just wind, rain, and a hail. Greater Detroit area looked like a war zone, but no one was hurt. We usually get a bad storm like this in July/August. It’s amazing how much damage wind can do. 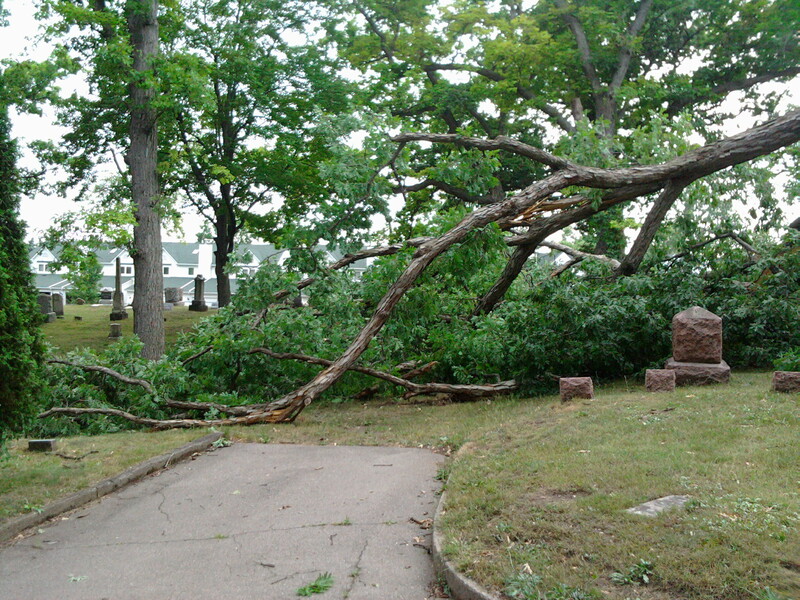 LOTS of downed trees. A couple of my friends had some big ones go down in their yards, too. WOW we haven’t even had the rain, just this extreme heat. The pics are fab though.